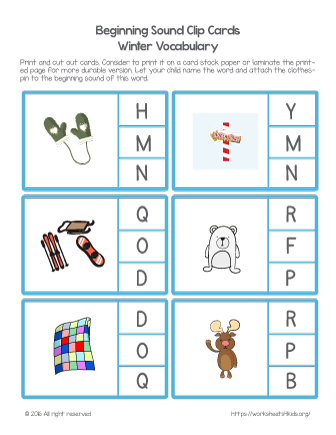 Christmas is all around… practice beginning sound recognition with your kindergarten students using these colorful winter-themed worksheets. Words to practice: mittens, north pole, outdoors, polar bear, quilt, and reindeer. Download and print it out (consider to print on a card stock paper for more durable version).